Sweden is a country with relatively few horses compared to the main horse nations world wide. In spite of this, there are many successful Swedish Warmbloods in the competition arenas all over. 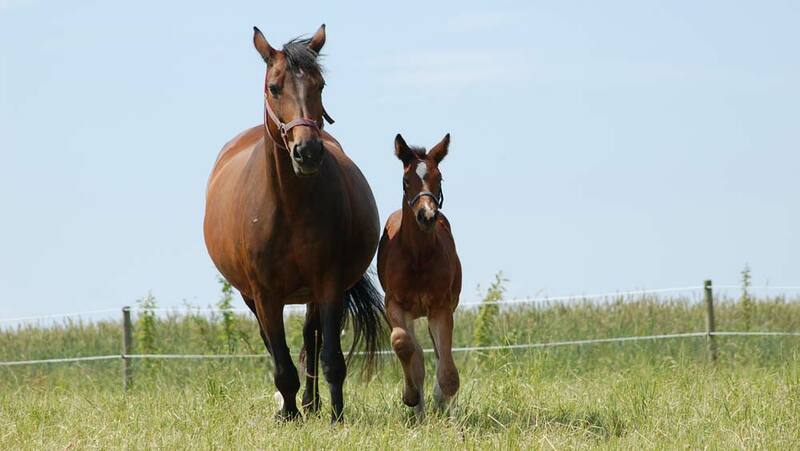 There are several reasons for this: The foundation for breeding horses is the long term -, connecting the past to the future, – breeding goal of a fast and light yet powerful horse. The climate and the vast landscape of Sweden is perfect for the horses’ physical and mental well being. Our horses ususally grow up roaming large areas of land, in freedom and in social contact with other horses from a very early age. We also feed our horses according to a sound and sustainable animal husbandry. The Swedish Warmblood horses are simply raised with great respect for their natural, biological, physical and mental needs. The perfect, raw material of a young horse is one thing. However, without trainers and riders there would be no further success. We have a very strong collaboration between breeding and sport in Sweden as well as between training and future performance. Working together and having a mutual understanding of a future goal is a prerequisite. The understanding that horses are individuals that demand respect for each and every horse’s traits and natural abilities is also part of the whole picture. Through tradition, collaboration and development in stride with time, we have achieved quality and results that are among the best in the world. There is no shortcut to success.